As of 18th October 2015 GP Engineering (North West) Ltd are pleased to inform all of our buyers that we have now achieved a certificate of accreditation within the Contractors Health and Safety Assessment Scheme (CHAS) having demonstrated compliance and sound management of current basic health and safety legislation. Installation of roof mounted chiller 8" process pipework and associated steelwork in Mäntsälä Finland approximately 2 week install in subzero temperatures. Installation of 1" - 2" stainless steel process pipework and a packaged pumping skid in Dýšina, Czech Republic. Process pipework system to supply cooling water to an Industrial inker machine from a chiller unit. 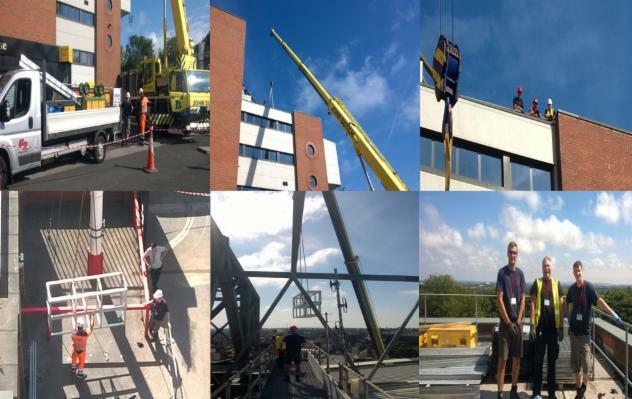 Design & installation of fabricated steel access platforms & floodlight support brackets for the new improved floodlight system at Anfield stadium Liverpool approximately 4 week install in the sun for a change. 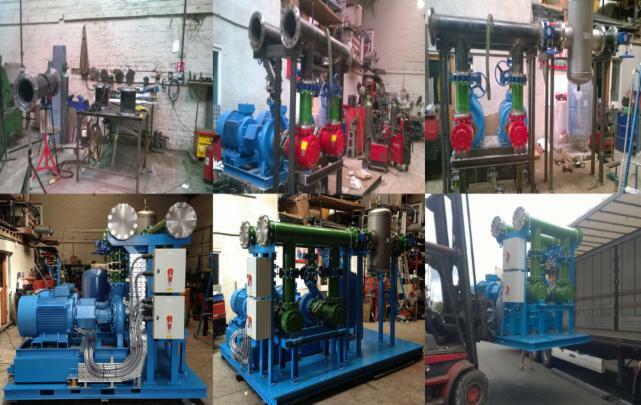 Prefabricated pump skid to supply cooling water to various processes around a manufacturing plant in Ejpovice, Czech Republic. Design of inertia base with vibration isolators to locate pumps on and minmise noise and vibrations given off by the motors. 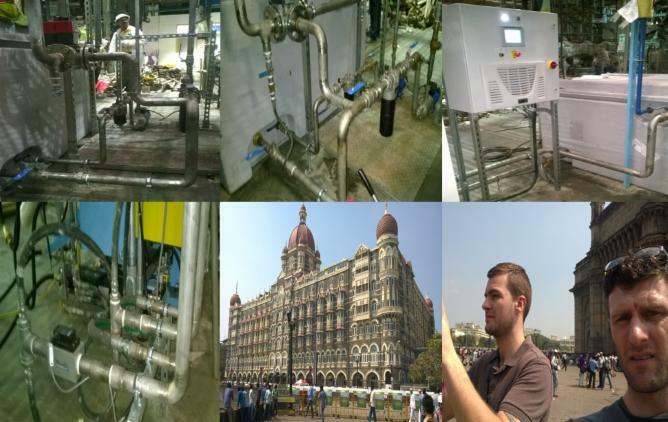 Installation of 1" - 2" stainless steel process pipework and a packaged pumping skid in Navi Mumbai India. Process pipework system to supply cooling water to an Industrial inker machine from a chiller unit. After the install was complet we had a free day and had a bit of a tour and visited the Gateway to India, The Taj Mahal Palace hotel and the Chhatrapati Shivaji Maharaj Vastu Sangrahalaya museum. Installation underway of 2" - 10" process pipework and associated steelwork in Mäntsälä Finland approximately 12 weeks work industrial cooling and heating systems.